Mysuru: Even as residents of this Heritage City are taking pride as Mysuru figures in the Top-10 list of India’s cleanest cities, tonnes of garbage, plastic waste, vegetable and fruit waste, metal parts of vehicles, seats and cushions, animal waste, construction debris, waste household furniture are daily being dumped at different city roads. Some of these roads are Ring Road near Rayanakere Waste Treatment Plant on Kamanakerehundi Road, Devanoor Lake Bund, Thandi Sadak Road between Sri Chamarajendra Zoological Gardens and Karanji Lake and Uthanahalli near the Jwalamukhi Tripurasundaridevi Temple. Though there are designated waste treatment plants that take these waste, many residents, work contractors, slaughterhouse men come to these places under the cover of darkness and dump truckloads of garbage and animal waste every night. Not stopping at this, they set fire to the garbage. Thandi Sadak Road between Mysuru Zoo and Karanji Lake. 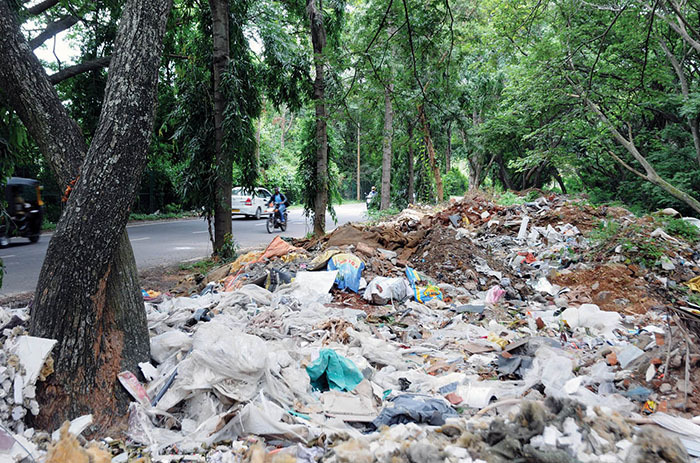 Animal waste is filled into cement bags and dumped along the road sides in newly-formed layouts along the Ring Road. Residents and travellers on this road told Star of Mysore that at nights, there is plenty of activity on these roads where trucks arrive and dump waste. They alleged that they have even found Kerala-registered trucks dumping garbage here. Kamanakerehundi Road has become a massive landfill and the whole area stinks with the smell of rotting animal waste permeating the air. “We cannot move on this road as we are blinded by thick smoke and we must hold our noses due to foul smell,” said a resident. The place has become a haven for street dogs and on an average, there are 100 to 200 dogs here at any point of time, said another resident. “People who come with huge tippers to dump the waste here say that the land belongs to them and they are dumping the waste onto their own land,” says another resident. Such dumping of wastes on this road has to be stopped as they are posing a threat to the neighbourhood with schools, colleges and hospitals around, he added. 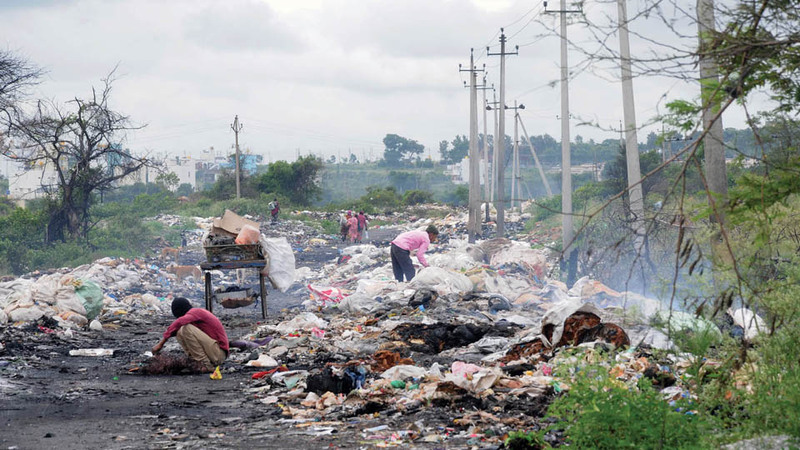 Another make-shift landfill has mushroomed on the Thandi-Sadak Road. A security guard at the Zoo alleged that a computer centre located in city has dumped tonnes of plastic computer waste on the road. “We have lodged complaints many times but no one in the MCC seems to be interested,” he said.